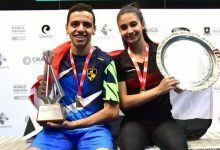 Third-seeded Egyptian Mohamed El Shorbagy is hoping to break the domestic stranglehold on the Canary Wharf Classic in London. 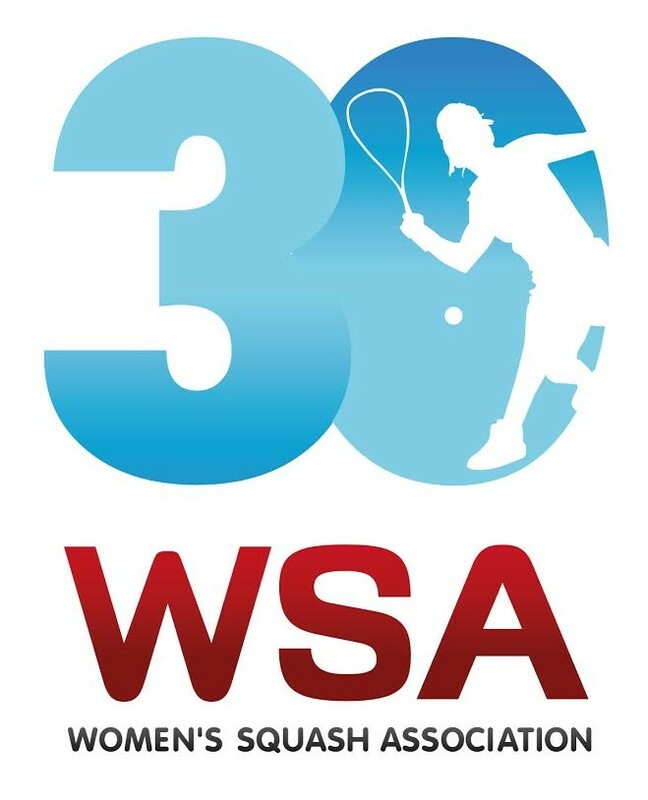 The 22-year-old from Alexandria is the lone non-English player in the semi-finals of the PSA World Tour International 50squash event at East Wintergarden after surviving a massive battle with Finnish qualifier Henrik Mustonen. El Shorbagy meets three-time champion James Willstrop in the semi-finals, with reigning champion Nick Matthew, who has won the last three finals, contemplating an all-English encounter with Londoner Peter Barker. 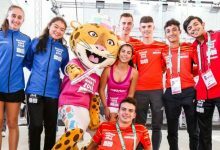 Mustonen came desperately close to springing another surprise victory. 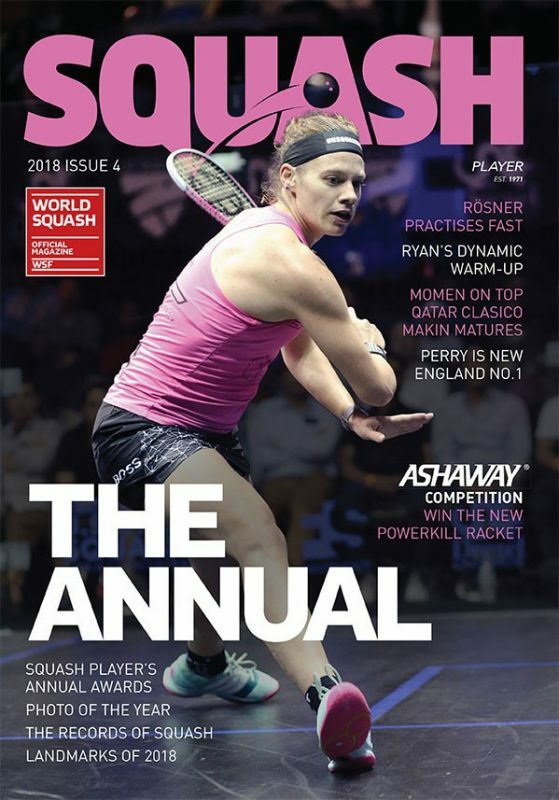 After upsetting world No17 Adrian Grant in the first round, Mustonen adopted a fearless policy against the world No5 who was runner-up to Ramy Ashour, the world No1, in the recent PSA World Championship. 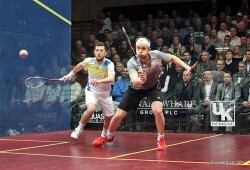 Mustonen, the world No53 from Hollola, stunned El Shorbagy with a high-paced attack to win the opening game 11-3. 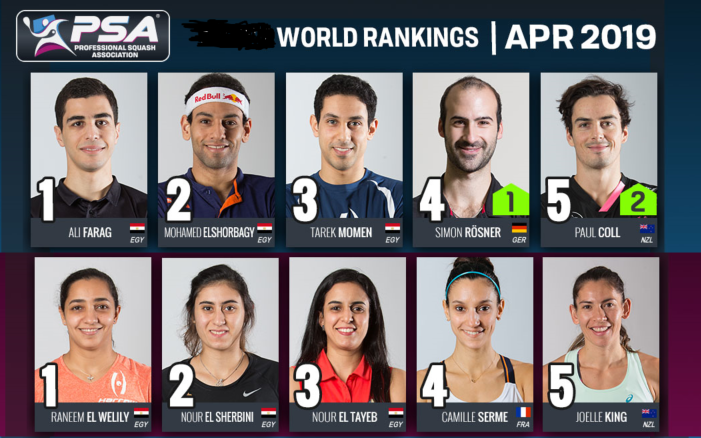 El Shorbagy was clearly taken by surprise but worked his way into the second game with some powerful kills at the front of the court. 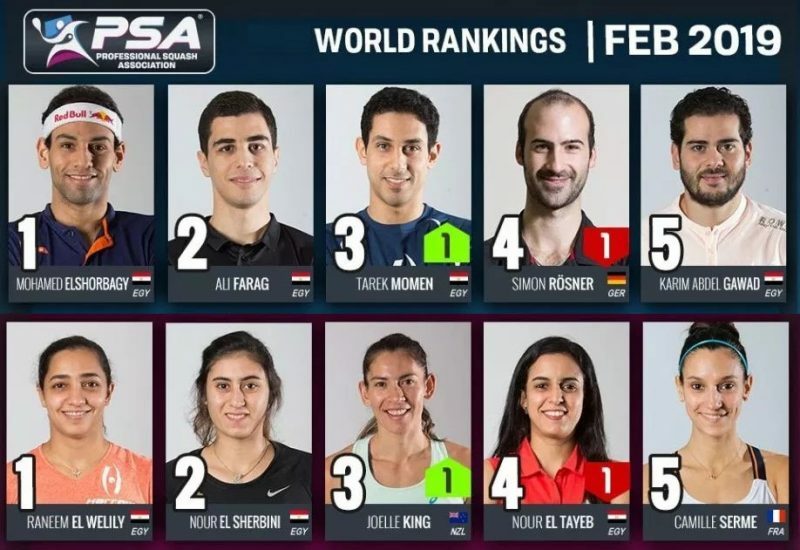 Mustonen hit back to win the third with some phenomenal retrieving but El Shorbagy won the fourth with some positive play and devastating straight kills at the front of the court. The Egyptian began the decider in sensational style, blitzing his way to a 6-1 lead, but Mustonen staged a spectacular recovery to draw level at 7-7, aided by two tinned service returns from his opponent. 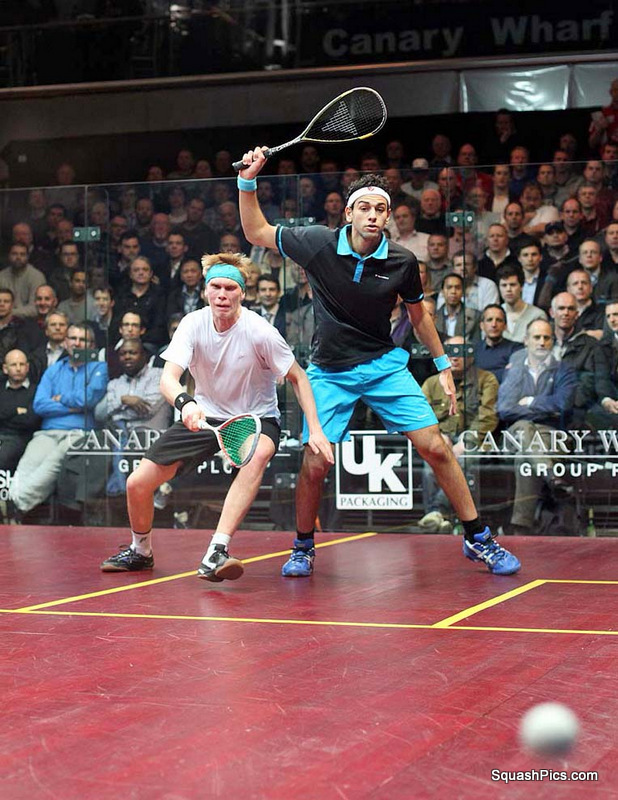 It was anyone’s match at 8-8, but El Shorbagy finished strongly to book his place in the semi-finals. 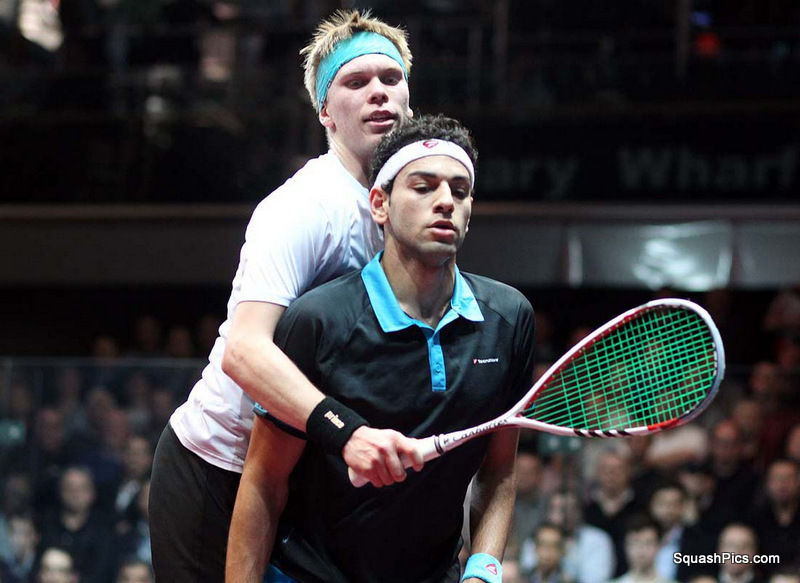 “I was taken by surprise in the first game by the way Henrik played at such a fast pace,” said El Shorbagy. “He had nothing to lose and went flat out, going for everything. “He reminded me of what I was like when I first started – and tonight I suffered the way my more experienced opponents used to then. No2 seed Willstrop was on top form as he overcame the challenge of England rival Daryl Selby in straight games – extending his unbeaten career run over his compatriot to 12 wins since January 2007. 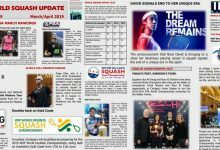 Selby, fresh from a win over England No1 Matthew in Kuwait last week, was unable to make inroads against Willstrop’s immaculate court control. 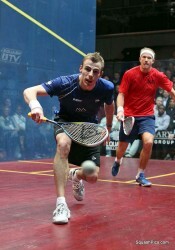 Willstrop said: “I didn’t need to think about Daryl’s win over Nick last week to know that he is a top player. It was always going to be a huge battle, especially here, where he enjoys such enormous support. “But I was very pleased with the way I played,” added the 29-year-old from Leeds. “It was a fairly comprehensive performance and I’m pleased to win in straight games. 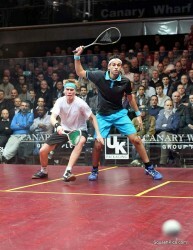 Matthew produced a polished performance against the new world No20 Stephen Coppinger. 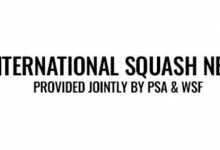 The tall South African did well to hit back from 8-4 down to win the third game 12-10, with one amazing shot off his toes to take him to game ball, but Matthew reasserted his authority in the fourth, reaching 10-1 before Coppinger claimed two points to make the scoreline more respectable. 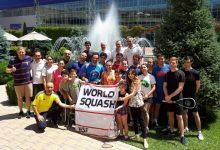 Coppinger, like Matthew’s opponent in the previous round, Miguel Angel Rodriguez, is coached by Australia’s former world champion David Palmer. Matthew said: “David has got together a good group of players and they can benefit from the fact that he has only just retired and knows all of the current players. He is therefore able to pass on some significant information to his players about their opponents. “Steve played very well tonight and in the third game it just shows that you can never ease up. I was getting close to a 3/0 win but he came back strongly to win it. 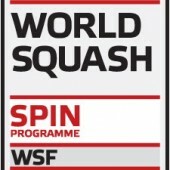 Barker fought back from a game down to beat English rival Tom Richards 3/1 in 56 minutes to book a semi-final clash with Matthew. 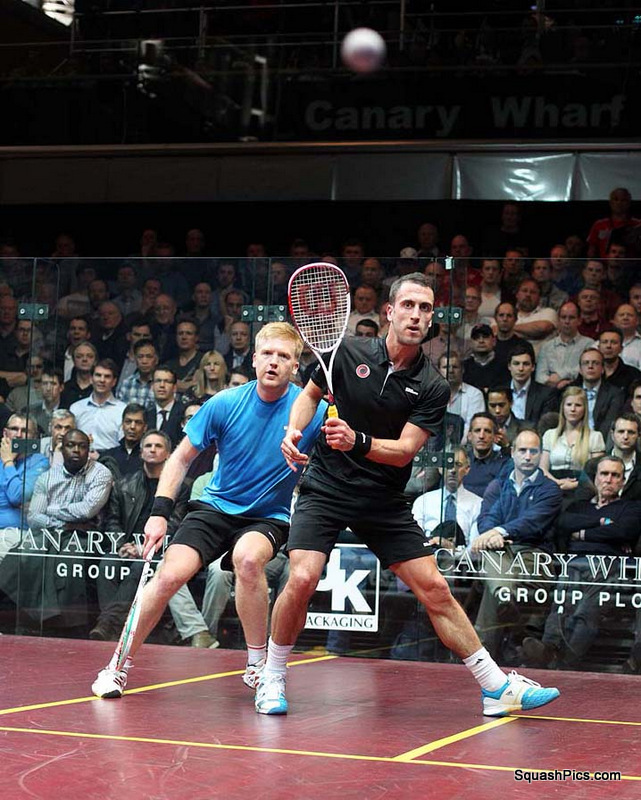 Barker was runner-up to the Yorkshireman in 2011 and last year kept him on court for 94 minutes in the semi-final before Matthew went on to win his third Canary Wharf title against Willstrop. 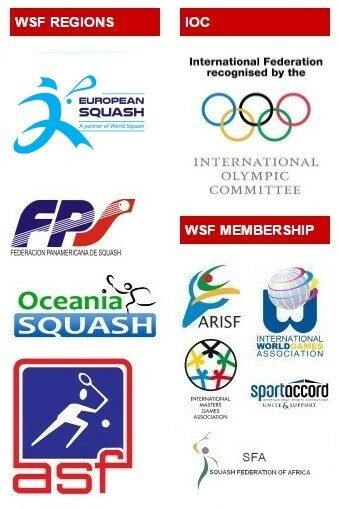 Barker said: “There are fine lines between winning and losing at the top end of any sport. I’m eight in the world and Tom is 12 and the match was very close. “Tom attacked strongly at the start but I didn’t do anything wrong in that game. I just decided to stick to my game plan and it worked. “I want to thank the crowd for staying right to the end. It means a lot to play in front of a full house because the atmosphere gives us a big lift.